Online Gallery Free After digitization, images are uploaded to an online gallery and the link is sent. Personalized DVD $8.00 We create a highly personalized DVD with your images on DVD cover. Download Link Free You receive a download link containing the high resolution images, which will be available for only 15 days. Additional Download Link $1.00/Gb Within 45 days of order completion, if you require additional download link, we will provide upon request. Additional DVD(s) $8.00/DVD You receive another set of DVDs in a special DVD box. TIFF Files (not available for videos) +$0.30/Image You get the high resolution raw files in TIFF format. Our pricing is already very competitive, even without considering the comprehensive range of services we include for no extra cost. However, as a small reward for your custom, we can offer a range of discounts for large orders that fall within certain order quantities. Just quote the relevant code when filling out our online order form. 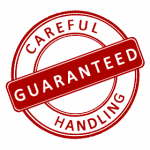 We’ll verify your media count when we process your order and apply the discount when we issue your invoice. Simple! No credit card required! No deposit! 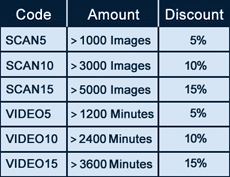 Pay for your order by bank transfer only after previewing the low resolution gallery of your scanned media. We attach great importance to the careful tracking of your media – we guarantee it will be well-protected throughout both the scanning process and the transportation between ScanCorner locations. We are so confident in our processes that if your items (minimum order value $100) are lost while in our possession, we will provide a one-time payment of $500 [coverage excludes loss during forward or return post].